A scene from the play. 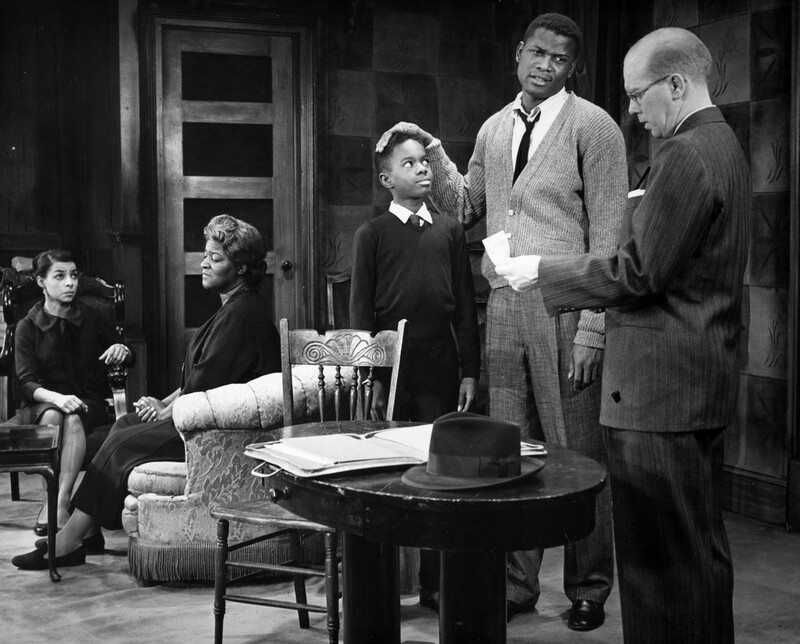 Ruby Dee as Ruth, Claudia McNeil as Lena, Glynn Turman as Travis, Sidney Poitier as Walter, and John Fiedler as Karl Lindner. 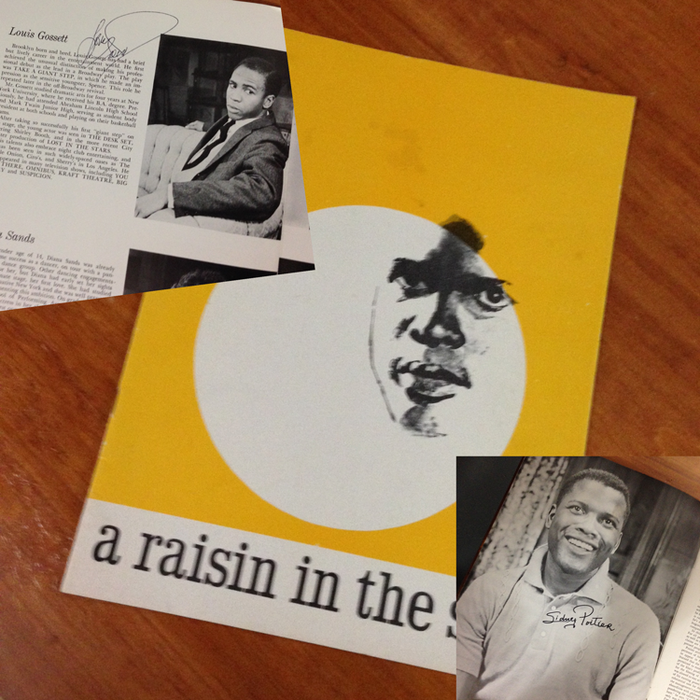 A Raisin in the Sun gained huge success despite it being produced by Philip Rose, a man that had never produced a play before and have very little interest from large investors early on. 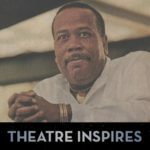 The production was first played in New Haven, Philadelphia, and Chicago, before eventually opening at the Ethel Barrymore Theatre on March 11, 1959, in New York City. It ran there for 530 performances and made Lorraine Hansberry the first African American woman to write a play that was produced on Broadway. 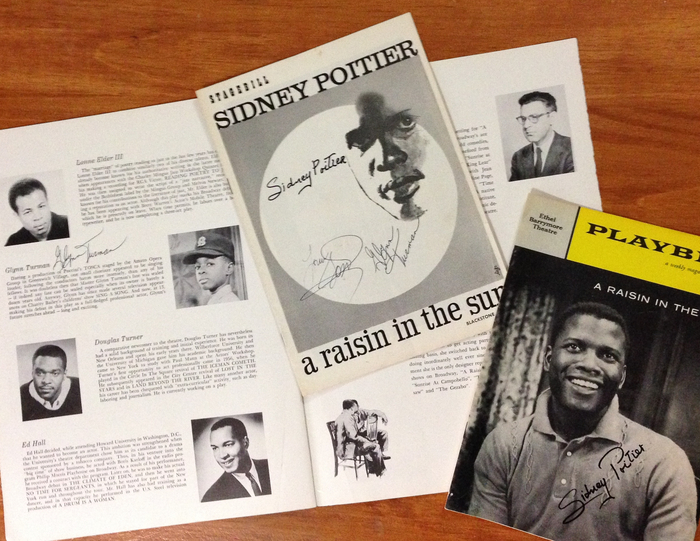 A Raisin in the Sun, also made Lloyd Richards, an actor and the dean of the Yale School of Drama from 1979 to 1991, the first African American to direct a play on Broadway since 1907.